This is post is part of the ‘one threex a day’ challenge. This challenge is to publish every day one game extension for three.js! One per day, every day and that for 2month! In this post, we gonna talk about threex.videotexture. threex.videotexture is a threex game extension for three.js. It provides help to handle videos in texture. 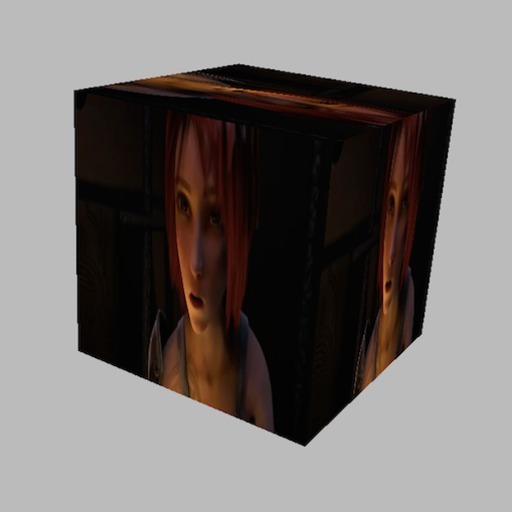 It is possible to put html5 <video> output in texture with threex.videotexture.js. You can even put the webcam in a texture with threex.webcamtexture.js. It is cool if you want to make a tv screen in your game, You can easily use this extension. You pick the video to play and you are ready to go. The screen surface will use your video texture making it look like a TV set. If you need it, you can try threex.audiovideotexture.js where the video is mapped on the texture and additionnally the sound of the video is handled via web audio API. Thus you can have localized sound, which is neat in the 3d environment. Here is a audio/video texture example with WebAudio APIand its source. It shows how to plug the video sound into the WebAudio API because you get localised sounds. This is particularly useful in 3D. “Audio/Video” texture is a texture where the sound comes from the object3d on which the texture is mapped. Here is another webcam example and its source. It reads the webcam thru getUserMedia and put it in a texture. Then you use it in a mesh like this. It will read the webcam using getUserMedia. The browser will likely ask for permissions to the users. Let’s see how to use it. You instanciate the texture itself. THREEx.WebcamTexture.available: true if getUserMedia is available on this browser, false otherwise.